Landlords in Kansas can collect security deposits from their tenants, but they must follow certain basic rules to do so. Kansas’ Landlord Tenant Act is a document every landlord in the state should become familiar with because it spells out these rules. Here are seven frequently asked questions about Kansas’ security deposit law. In the state of Kansas, there is a limit as to the maximum amount a landlord can charge a tenant as a security deposit. If the unit is unfurnished, a landlord can charge a maximum of one month’s rent as a security deposit. If the unit is furnished, a landlord can charge a maximum of one and a half month’s rent as a security deposit. Kansas landlords are also allowed to charge an additional deposit for pets. This pet deposit cannot be more than one-half month’s rent. Written Notice: If a Kansas landlord plans on making any deductions from a tenant’s security deposit, he or she must provide the tenant with a written notice. This notice must include an itemized list which states what deductions have been taken and the amount of each deduction. 30 Days: Kansas landlords have 30 days after tenant move-out to return the portion of the tenant’s security deposit that is owed back to the tenant. If the tenant makes no claim on the deposit after 30 days, the landlord must mail the portion of the deposit owed to the tenant and the written notice to the tenant’s last known address. 14 Days: If a landlord has determined that he or she will need to make deductions from a tenant’s security deposit, the landlord has 14 days after this decision to return the portion of the deposit owed to the tenant along with the written notice. The deposit must still be returned no later than 30 days after a tenant move-out. Wrongful Withholding: If a landlord wrongfully withholds all or a portion of a tenant’s security deposit, the tenant may be awarded the amount wrongfully withheld plus damages of up to one and a half times the amount wrongfully withheld plus reasonable court costs and attorney fees. 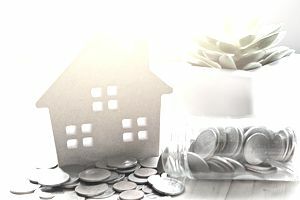 Landlords in Kansas should store tenants’ security deposits in a separate account in a banking or financial institution that is insured by the federal government. The security deposit should be in an account that is separate from the landlord’s funds. It does not have to earn interest, but if it does, this interest is the property of the landlord. Landlords in Kansas do not have to provide their tenants with written notice after receiving a tenant’s security deposit. Kansas landlords are not required by law to perform a walk-through inspection prior to a tenant’s move-out. However, Kansas landlords do have to conduct an inventory inspection of the unit with the tenant no later than 5 days after tenant move-in. This inspection should document the condition of the rental unit, including any furniture and appliances. This inspection should be signed and dated by both the landlord and tenant. The tenant must be given a copy of this document. Transfer the security deposit to the new owner of the property, minus any allowable deductions, and notify the tenants of the name of the owner and the address where their security deposit is being held. Return the security deposit to the tenant, minus any allowable deductions, and notify the new owner that the deposits have been returned to the tenants. What Is Kansas's Security Deposit Law? For the original text of the law governing security deposits in the state of Kansas, please consult Kansas Statutes Annotated §§ 58-2548 and 58-2550.